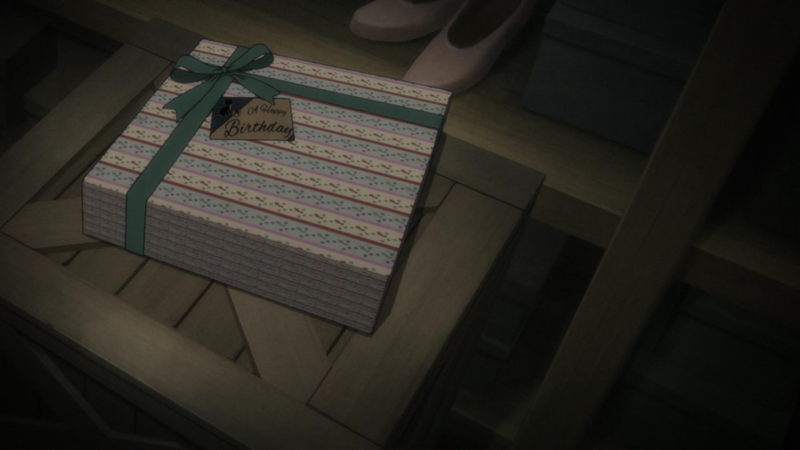 I can describe 91 Days in a sentence: Seven years after the murder of his family, Angelo receives a letter with the names of their killers and begins to hatch a plot for revenge. Which is true, but also misleading. 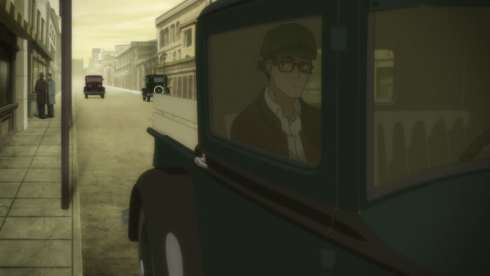 91 Days loves to be misleading. It’s never quite the story you think it’s going to be, and that’s almost always a good thing. On the one hand, it’s a well-paced gangster action flick, full of competing players and schemes, pulpy shootouts, sometimes gleefully grim violence, and plenty of plot twists, as everyone plots against each other and we try to suss out who’s an enemy and who’s a friend. The story balances information with mysteries to steep itself in dramatic irony while also keeping the audience on their toes. A heavy use of canted angles and claustrophobic corridors help with the sense of paranoia that soaks large portions of the story. 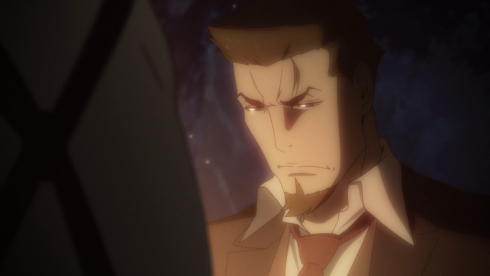 When 91 Days wants to be tense or surprising, it often is, and I delighted in trying (and often failing) to guess where its story would go next. 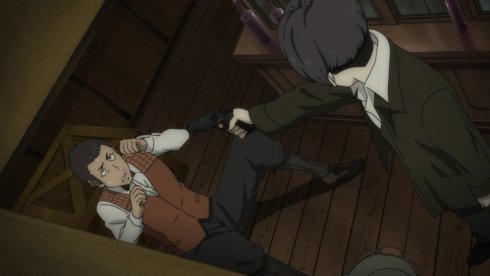 That said, calling 91 Days a “gangster story” isn’t exactly right, because the deeper you get into it the more you realize it isn’t about gangsters so much as it’s about kids emulating their parents, pretending to be gangsters. And the more the story explores that–the cycle of violence, the weight of expectations, the price of vengeance–the more it shifts from “pulpy gangster intrigue” to “tense character study,” with a splash of Shakespearean tragedy (especially Macbeth and Hamlet) thrown in for good measure. Despite a few weak links in the supporting cast, the central, younger characters are conflicted and nuanced, simultaneously callous criminals and sympathetic kids, often to the point where it’s difficult to know who we should be rooting for. 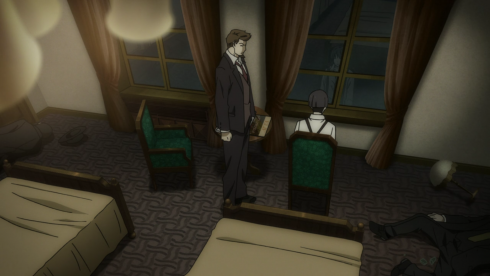 Unlike a lot of anime, 91 Days doesn’t contain any inner monologues, so it instead defines individuals by their actions, expressions, snippets of conversation, and especially by the objects around them, whether that’s how they eat a meal, what they like to drink, or where their attention is focused. As with its twisting plot, it asks the audience to stay engaged and pay attention to detail, but if you can it leads to an engrossing character study. 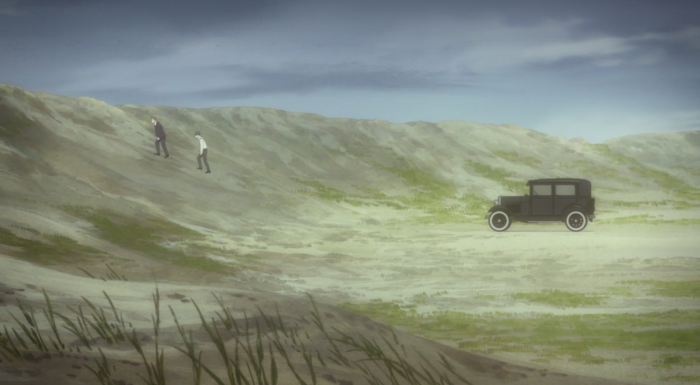 On that note, I’d argue that 91 Days is the best directed anime of the season (and maybe the second-best of the year), using camera framing, object focus, color schemes, timely music, and recurring images to both build character and foreshadow events. Some animation corner-cutting aside, Studio Shuka and Director Kaburagi have put together a visually complete package here, one that never talks down to its audience, assuming they’re sharp enough to pick up on clues and read between the lines. 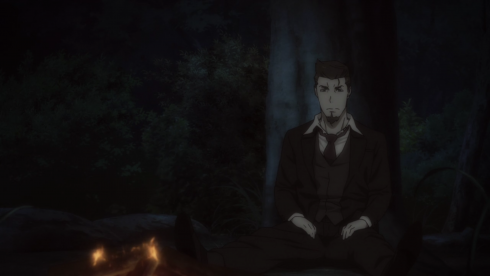 As all of this might suggest, 91 Days deals in a lot of uncertainty and ambiguity, especially from the mid-point to the finale. It lays out pieces but doesn’t provide a ton of answers, leaving much open to audience interpretation. 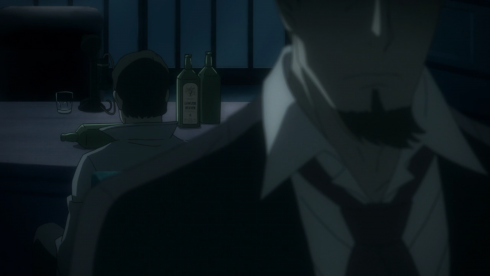 If you prefer a more straightforward story, where you always know who the “good guys” and “bad guys” are and the conclusion ties everything into a neat bow, then 91 Days will likely leave you frustrated. It’s a show that asks a lot of its audience, but if you’re willing to give it your full attention, it rewards you with a complex, melancholy, sometimes devastating, sometimes hopeful, ultimately satisfying story of family, choice, and the cost of violence. I’m already looking forward to a rewatch. Honestly, I’m a little overwhelmed by the density and sheer beauty of this episode, both in visual and narrative terms. This is a series that absolutely deserves a rewatch and may even deserve a second round of commentary at some point. 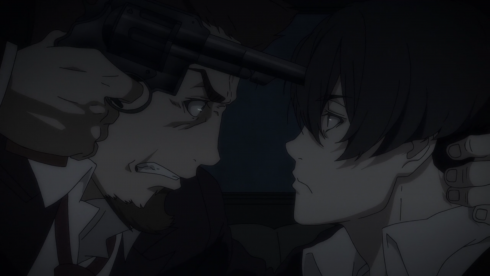 For the moment, though, let’s focus on the events at hand and our two main characters, and talk about why I think this was exactly how 91 Days needed to end. 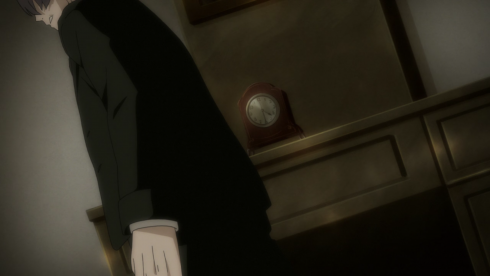 The first half of the episode jumps around in time to follow Nero and Angelo during their escape, as well as fill in the gaps of how they got there. 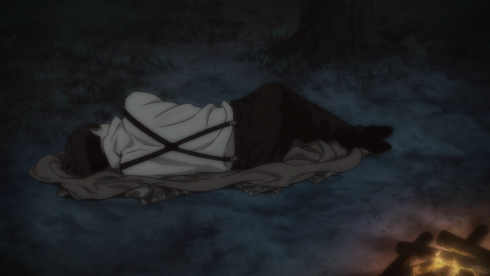 It’s jarringly done, which may be the point since it gives the audience a sense of how disoriented and chaotic both Angelo and Nero’s thoughts and feelings are right now (we don’t settle into a linear chronology until after the campfire scene, when they come to an understanding and begin to rebuild their relationship). Strega Galassia, like the rest of the younger generation, goes after Nero with a vengeance because “he killed Ronaldo,” and I’m still not sure if this kind of passion is better or worse than the detached logic of the older generation. 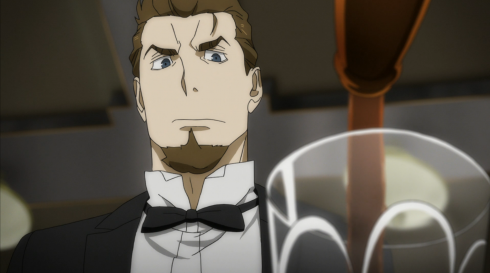 A furious Nero urges his men to escape (they don’t–RIP, Tigre) before going after Angelo. An apathetic Angelo shrugs at Strega’s offer of “freedom” and waits for Nero. Rome burns. And through it all, Angelo insists he hates Nero, that he left him alive so he’d suffer, and keeps goading him into killing him. I’ve spent these posts fluctuating between “Angelo actually likes Nero” and “Angelo really hates Nero,” so it was nice to see the finale allow Angelo to voice both those competing emotions. 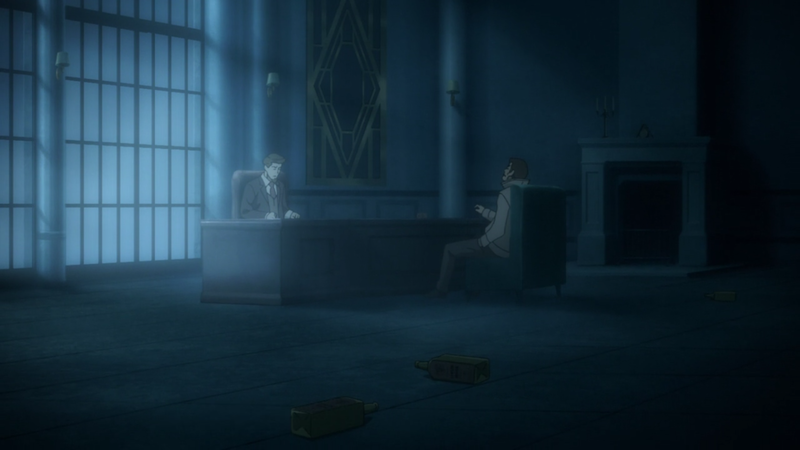 Like so much of 91 Days, I think there’s some truth to his claims of malice (orchestrating Frate’s death served little purpose beyond hurting the Vanettis), but it isn’t the whole truth, something that it takes Angelo the entire episode to admit. I think that’s partly because he can’t admit it yet, but it’s also because he’s exhausted, guilt-stricken, and wants to die. So he says what he thinks will get Nero to kill him, and Nero almost gives him what he wants. 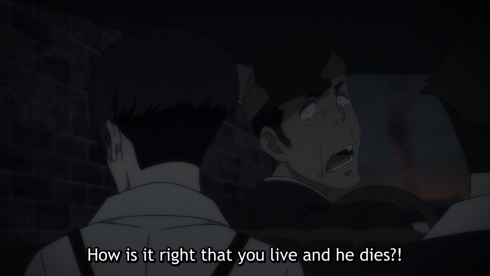 He doesn’t, though, and like much of 91 Days and this finale especially, the “why” has many possible answers, and maybe all of them are a little true. 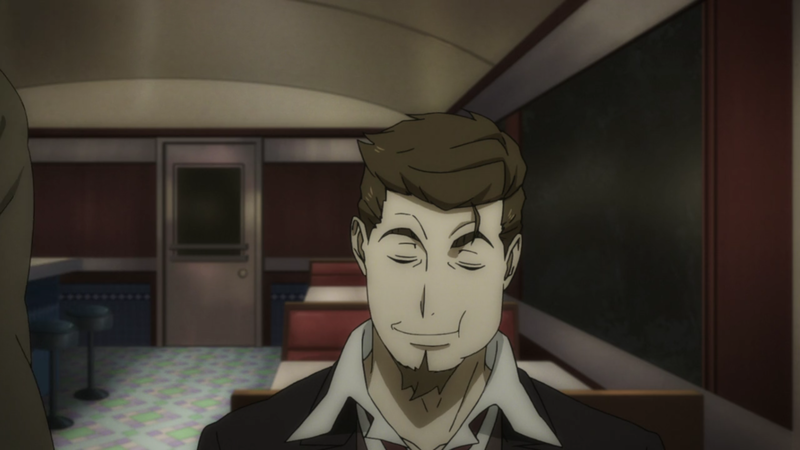 Nero still cares about Angelo, obviously, but I also think on some level he acknowledges Angelo’s revenge as valid. As straightforward as Nero is, it makes sense that he’d be angrier about having his trust betrayed than about the vengeance itself. To that end, I think Nero’s also hoping for some kind of closure. He needs to know that it mattered–that the destruction of the Vanetti family, if nothing else, gave that orphaned boy in the woods some kind of peace. All of which culminates in their campfire confrontation. Free of the city and the expectant eyes of others, the two can at last be honest with each other. Angelo confesses that his revenge has left him empty, without the “reason to live” he’d been hoping for. “It was all for nothing,” he says, echoing Vincent’s last words. All this violence in the name of “the family” (living or dead) was futile. 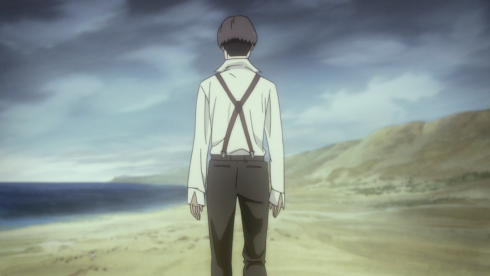 Neither Nero nor Angelo can find closure from this answer, and their rage and grief form the emotional climax of the episode, with breaking down as they struggle to understand why they’re alive at all. It’s a powerful scene, but I want to pay special attention to Nero’s flashback to the night at the Lagusas. 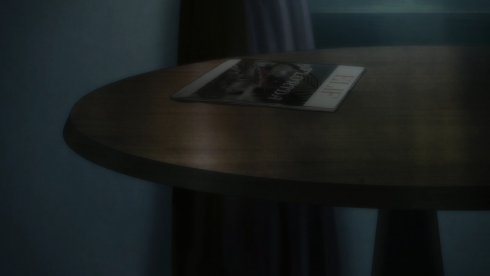 The visual work here is excellent, as Nero’s focus is constantly on the kids–Corteo riding past, the blood-splattered photo of Angelo’s little brother, the unopened birthday present–to highlight his own discomfort (if not outright horror) at the job. We also learn one vital piece of new information: When Nero missed shooting Angelo, it wasn’t on purpose. He just closed his eyes and left the bullet’s path up to fate. His choice wasn’t to “not kill,” but to “not look“–to essentially make no choice at all. If, as the opening theme tells us, Angelo has been trapped in that closet for the last seven years, watching his family die, then Nero has been standing in that snowy yard, his eyes squeezed shut, letting others lead him around. I’ve said before that his greatest flaw is that he’s too easily influenced–by Vanno, Angelo, Ganzo, and especially his father–and this flashback provides a crucial explanation for that. Better to close his eyes and leave everything up to other forces than to live with the guilt of choice. 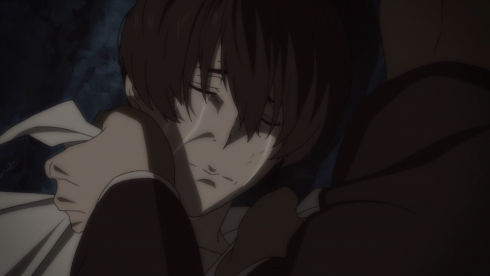 It isn’t until Angelo screams at him, finally letting himself cry, that Nero opens his eyes to the consequences of his actions and the lives who’ve been destroyed by them. That’s why the final scene on the beach is so important, and ultimately why it doesn’t matter whether Nero chose to kill Angelo (and free him from his pain) or let him go (and free him to a life beyond revenge). What matters is that Nero opens his eyes when he shoots. 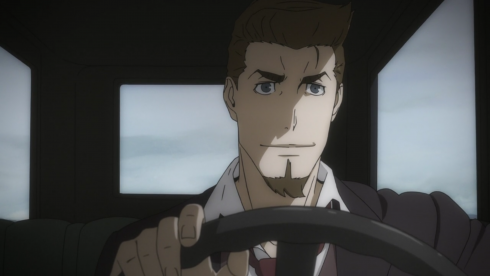 He takes responsibility and makes a choice, free of blind rage, the influence of others, or the expectations of “the family.” Whatever choice he made it, he made it for him and Angelo alone. In the same way, it doesn’t matter what happens to Nero after he opens his eyes and fires that gun. Maybe the Galassias kill him, or maybe they don’t. Either way, like Angelo, he’s freed himself from that night–from the weight of his cowardice, from the expectations of his father. 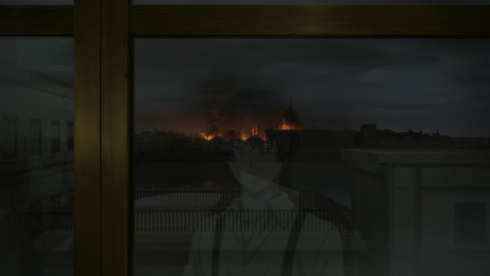 That’s been the central conflict of 91 Days from the start, and the great tragedy of both our protagonists. 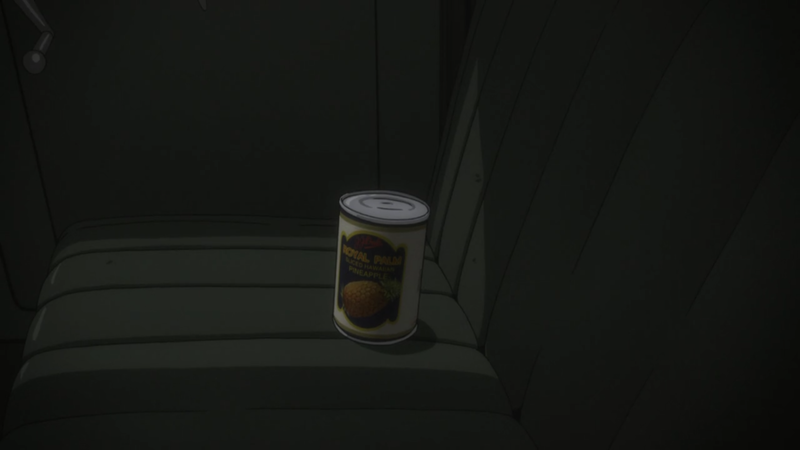 So when Angelo is able to walk quietly away from his hatred and vengeance, and when Nero is able to drive off with a soft smile and a memento, that’s the only conclusion that matters. What happens next is just details. 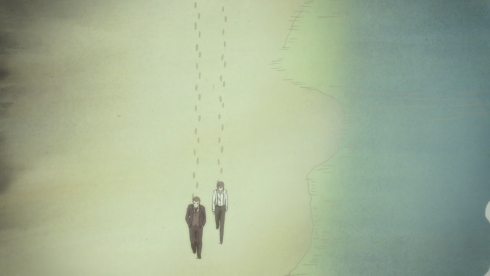 This finale is melancholy, wrenching, sympathetic, hopeful–and, like much of 91 Days, intentionally ambiguous and open to interpretation. There are no neat answers, no tidy endings. As Nero tells Angelo: “You don’t need a reason to live. You just live.” The waves wash away their footprints, erasing the steps they took before. We and they can only guess at what’s next. But right now there’s the ocean, the beach, and the sky. There’s a freedom in that clear, rolling vastness. It’s not much, but after years of being trapped in a prison of their parents’ making, it’s exactly the kind of paradise they need. Cerotto’s been one of the more likable supporting characters and his grief for Corteo was refreshingly honest, so I’m glad he was left out of this mess and lives to bar tend another day. I keep forgetting to applaud the soundtrack, so let’s give it some praise here. 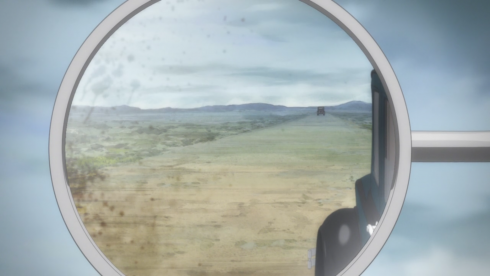 The past two episodes have had some fantastic orchestral pieces, granting the gunfights a kind of epic gravitas, and the use of the ending theme during the road trip was lovingly intimate and peaceful. 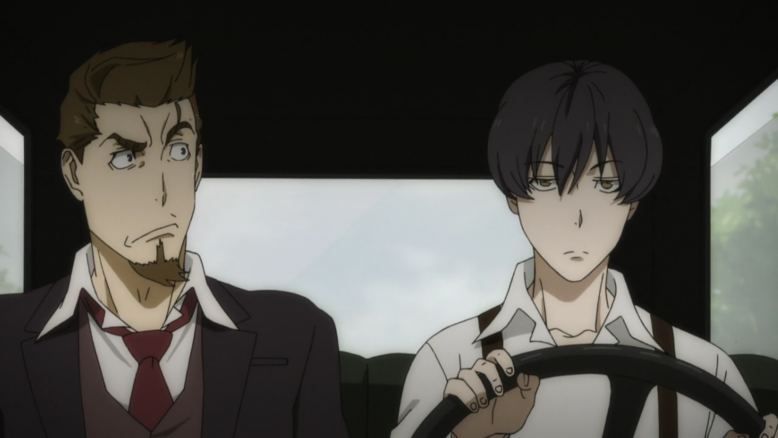 91 Days tells a lot its story without dialogue, and the soundtrack plays a major role in its successes there. Trading the stark, claustrophobic rooms and empty bottles of Lawless Heaven for the soft, lush pastoral scenery and endless waves of Florida’s “paradise” is some top-notch cinematography. The world around our characters reflects their journey as they slowly move away from pointless violence towards a freeing peace. 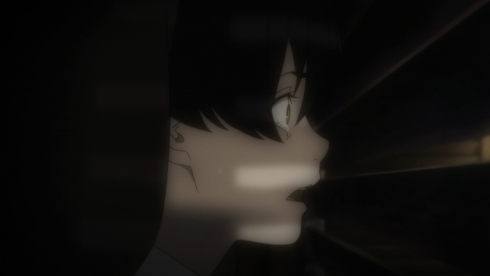 GAH, this episode was so good, I can’t even sometimes. I’m looking forward to hearing everyone’s personal headcanon about what happened at the end! I’ve chosen to believe they both survive and eventually meet up in NYC where they work at a trendy coffee shop and share a cramped apartment where many shenanigans ensue. But hey, that’s just me. Phew! That was fun! Also tiring. 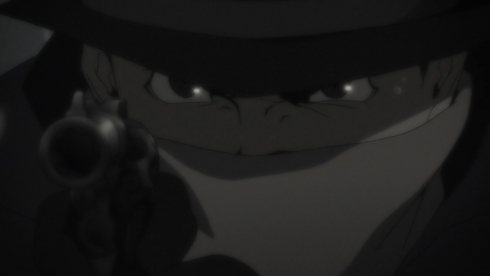 I definitely didn’t expect this gangster drama to tickle my analyzin’ bone when I decided to cover it. Expectations thoroughly smashed, as per 91 Days‘s M.O. I may need to sleep a few days before I dive into the next season. 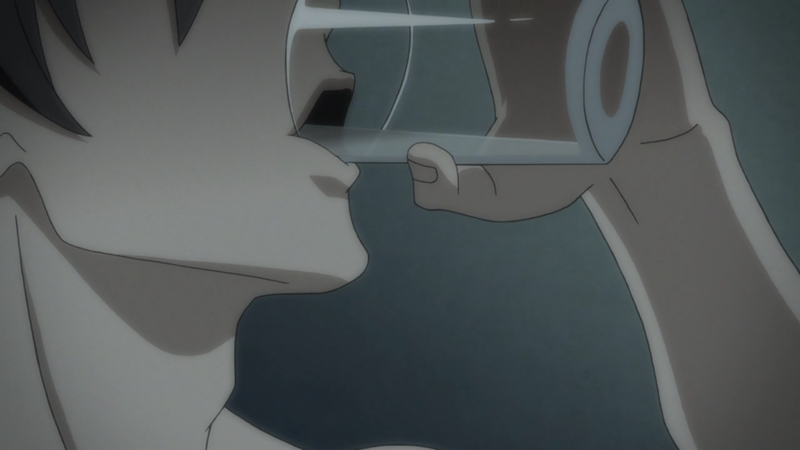 Thanks as always for joining me on these long-winded deep-dives into character arcs and visual narration, and I look forward to chatting with you all again soon!